Learn exactly how jet card programs gouge you when it comes to unused hours. Discover exactly what goes into calculating your flight time and how it will impact your overall jet card costs. Learn the hidden terms you need to watch out for in jet card contracts so you don't get burned. Learn how to mitigate the risk of paying 1000's of dollars more for your jet card by understanding which FBO's are preferred and which ones aren't. Get a clear understanding of the inflexibility of jet card programs and discover the better option for your private travel needs. The Jettly report impressed me on multiple levels. 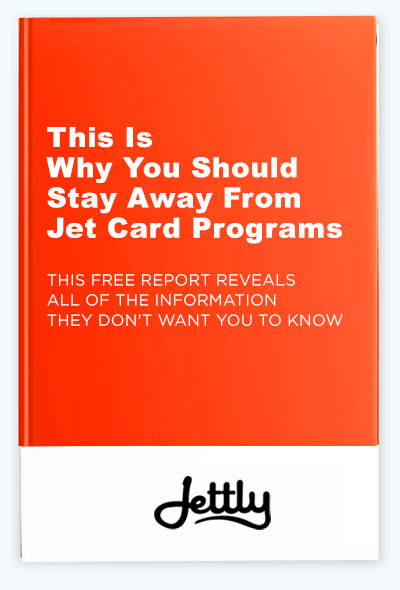 The report explained everything clearly and I highly recommend it to anyone considering a private jet card program. Thank you for making it painless, pleasant and most of all hassle free to understand the nuances of the jet card industry! You should charge for this report. You guys rock.